There has been a big make-up evolution in the past few years. 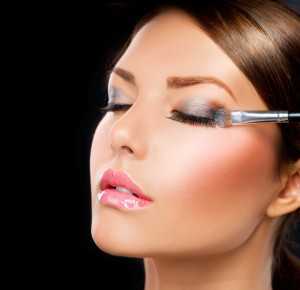 Different lines of cosmetics are invented and reinvented. And while these are happening, the how-to of make-up application also evolved. Whoever thought that contouring would be a thing, or that a face cream and a face powder will be in a union in the form of BB creams and CC creams? We have to keep up. Are you ready? Come and visit us at Le Visage Wellness and we’ll take you to the trends and innovations of Make-Up Artistry in Marysville. Here at Le Visage Wellness, our make-up artists are highly and professionally trained to ensure that only perfection would be the word uttered by our clients. Enhancing one’s facial features is our mastery. We specialize in cosmetic make-up artistry for studio photography, weddings, and other special occasions. What sets us apart is our expertise in concealing blemishes, discolorations and surgical and facial scars, thus achieving a flawless complexion. Customers who are interested in learning and having a deeper understanding of make-up artistry can also take Make-up Lesson and Application. With this, they are advised and taught about the right colors to use to enhance their facial features and achieve the look they are going for during the session. We only use high-quality, professional cosmetics, so customers won’t have to worry about the quality of the products we use. Let’s celebrate life’s events together. Give us a call on your special day and we’ll make it even more special by serving you the finest Make-Up Artistry in Marysville. Give yourself the treatment you deserve at Le Visage Wellness, where customers are pampered and given the highest quality care. You may reach us at (425) 905-2410.